Providing career advice is one of the most rewarding aspects of my work. There are many resources available to aspiring zoologists and herpetologists, but deciding the best path to take can be a confusing process. Today I’d like to provide some guidelines drawn from my experiences and those of my readers and colleagues on how to become a zoologist. And as you’ll see from the face of the little fellow in the photo below, it’s great fun to get started early! Note: Much of the following information is based on my work in zoos and museums, and the journals mentioned are oriented towards herpetology. However, the basic principles apply to any discipline within the field of zoology. I can also help, or refer you to others who can help, with related fields, such as ornithology, arachnology, etc. Please post any questions you might have below. Education continues to play a key role in attaining a career in zoology. But what hampered me most – and I see this in many others who are interested in working with animals – was my shyness around teachers, professors and practicing zoologists. Most successful colleagues of mine worked closely with their teachers and college professors, and were quick to speak to the zoologists they encountered at conferences or while visiting zoos and museums. I’ve found that most professionals recall their own struggles, and are quick to provide advice to others. Zoo-keeping is a common entry point for folks wishing to work with animals. Once employed, one can continue to work towards an advanced degree (I completed my Master’s Degree in this manner) and eventually qualify for research or related positions as a zoologist; financial support for continuing education is sometimes available at major zoos. You’ll need a B.S. for an entry level animal-keeping job at larger zoos (in some cases, extensive experience may be substituted); an M.S. to move into other areas, and a PhD for curatorial, field research, and similar positions. While it may be easier to rise up the ranks in smaller zoos, large well-funded institutions generally offer more career options. Zoo-keeping is a wonderful job for animal enthusiasts, and many quickly become enamored of it (myself included). Unfortunately, salaries are abysmally low, especially given the education required, and particularly if you live in or near a large city. Some zoos have a policy against promoting keepers to positions above the supervisory level. However, a keeper position in a large, well-respected zoo often becomes a stepping stone to curatorial spots elsewhere. 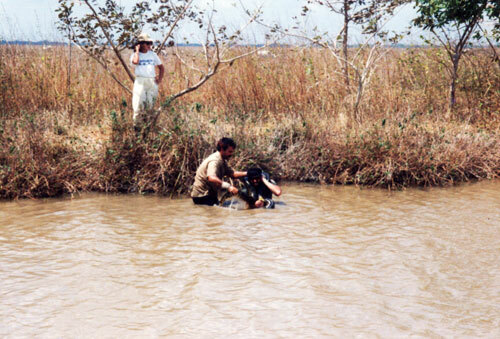 Fieldwork was a favorite of mine, but I became involved as an aside to my work as an animal keeper and supervisor. Those who pursue fieldwork as their profession often work “from grant to grant” – not an easy route to follow, but some enjoy the lifestyle. The Bronx Zoo and certain others employ fulltime field researchers, generally PhD’s or graduate students. Aspiring field researchers sometimes go into fulltime teaching at universities, thereby locking in a steady paycheck, and then become involved in research, perhaps supported by the college, during the summer. Zoologist salaries at museums, zoos and other not-for-profit institutions are generally lower than what similarly-educated professionals earn in the private sector. Faculty teaching or research positions at colleges and universities vary with the reputation and funding base of the institution. However, positions with well-respected educational or research institutions can lead to lucrative employment elsewhere, and upper-level spots in such institutions can be financially rewarding. 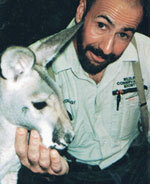 Federal and state governments employ zoologists in a wide variety of capacities. Salaries vary by job title, education attained and experience, but are commensurate with those of other similarly-employed professionals. Experienced zoologists often supplement their income by consulting with government agencies or private companies, teaching, writing books, lecturing, free-lance field research, leading wildlife viewing tours, and similar activities. As one gains experience, a variety of interesting opportunities usually arise. Remember also that there are many related fields that may offer much more in the way of salary than do typical careers in zoology, including bio-medical research (medicine from frog skin, etc. ), agricultural pest research, and conservation genetics. Zoologists are also needed as researchers in most fields dealing with human physical and mental health, and many, many others that at first glance seem unrelated to the study of animals. The following is provided as an example of what to look for in general…please post below for information on related fields. A major in biology or zoology is usually ideal (you can always specialize as time goes on), but individual schools may be able to provide other options …it is very important to discuss your plans with high school or college career counselors. 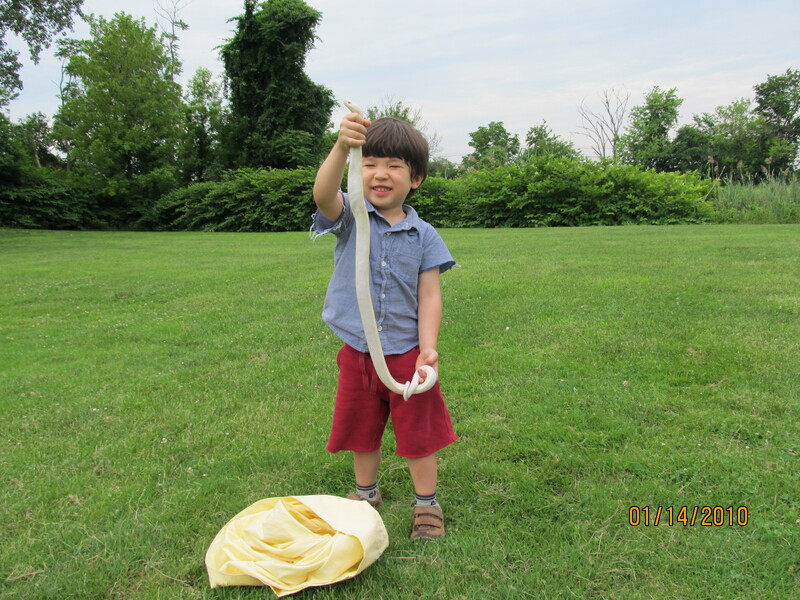 Please see this site for a list of colleges offering herpetology courses. Colleges offering courses and majors in entomology and other related fields are in greater supply, and should be easy to locate…please post below if you need assistance. Reading professional journals was a “secret” I discovered early-on (thanks to the advice of my dear cousin, a librarian). This habit gave me an edge over others, and continues to serve me well…and it’s very enjoyable! While much of what you encounter may not be relevant to your interests, pursuing even the abstracts alone will give you important information, i.e. what is being done and by whom, subjects in need of further research, the types of articles likely to be published, which colleges and zoos support researchers, etc. You may also find that interesting work is being done nearby…by following up, you may find a volunteer opportunity and make important professional connections. It’s never too early to begin. With so much (often questionable) information available online, much of it written in a very casual style, I believe it is very important for young people to take note of what will be required if they pursue a career in zoology. for descriptions of the leading herpetology journals). However, you can keep abreast of article abstracts through a valuable, free resource – Bioone.org. Simply choose the journals that interest you and sign up for email notifications. You’ll receive abstracts of all new articles, and have access to past editions. Hundreds of journals, including all the leading ones, are available. Fortunately, full issues of some newer professional journals are now available free online. Please post below if you would like further information on these. Volunteering for biology professors, field researchers, zoos, nature centers and museums can provide you with invaluable experience and connections. Most are under-funded, and often gladly accept responsible offers of assistance. It’s also useful to become a member of local zoos, museums and special interest groups such as birding clubs and herpetological societies. Be sure to attend lectures given in your area of interest, and speak with the presenters if possible. Local groups can also provide amazing opportunities to meet people and become involved in interesting projects; the New York Turtle and Tortoise Society, my favorite, is a perfect example. Zoos and museums nearly always utilize volunteer interns (I started out at the Bronx Zoo in this way), so be sure to look into these possibilities. The American Zoo Association job list will give you an idea of the types of positions available at zoos; field research and museum opportunities are sometimes included. Hi! My name is Shaan and I am 11 years old. I have a white’s tree frog and I want to be a zoologist or a herpetologist when I grow up. It would mean the world to me if you checked out my blog and gave me a few tips! Great to see that you are starting out by sharing info with others; please keep me posted, and let me know if you need any ideas as time goes on. Coco fiber sticks readily to insects…some folks use it with success, but intestinal blockages have been reported in several species. I usually cover that and similar substrates with sheet moss or dead leaves. If the frog adjusts to such, you can also feed in a large dish, a separate container or via feeding tongs. Be sure to add Calcium as well as reptivite; amount depends upon species, age, etc. Avoid mealworms, or use newly molted (white ) grubs; please see this article. Canned and freeze dried insects are a good way to add variety to the diet, but not all frogs will take via feeding tongs (White’s generally do take them). Dietary variety is vital to long term health…1-2 food items, even if supplemented with vits, are rarely sufficient. 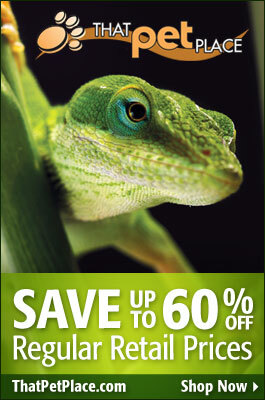 please see these articles http://blogs.thatpetplace.com/thatreptileblog/2010/10/07/frog-diets-nutritious-foods-for-popularly-kept-frogs-and-toads/#.Uucpo7ROmpo, http://blogs.thatpetplace.com/thatreptileblog/2010/12/02/frog-diets-nutritious-foods-for-popularly-kept-frogs-and-toads-part-1/#.Uucpy7ROmpo. Thank you for all of the information, Frank. I am just learning and it really inspires me that a real Zoologist is giving me advice. Thank you so much for referring me to your blog posting. I have found many links here that will be of much use to me. I am so pleased that you are willing to take the time to help out an aspiring herpetologist/zoologist like my self and many others. I am sure you must be very busy and I don’t want to take up too much of your time but I am just so thrilled you are offering us a helping hand! I was aware that field research does not have a high salary and because of that I was considering getting my start as an exotic vet to ensure I have a stable income to support my family, but I really want to work in the field to help save our ecosystems. 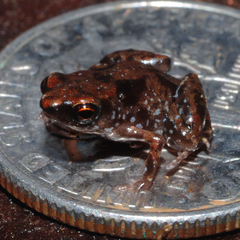 As a child I had dreamed of going to the rain forest to study the frogs and wild life in the area and help to save them. I still dream of doing this even now in my present life, though it may never be possible as I am a parent. So, heart breaking as it may be, I am looking for another way to offer my assistance to our animals that desperately need it now more than ever. I was considering going to school to become an exotic vet and while attending school, I want to work for the St. Louis Zoo part time until I can find my true niche. So long as you don’t mind, I would like to contact you from time to time about my plans and ask questions that may arise. I know your input will be very valuable to me. My fiance has just finished his education in the field of IT and is now looking for full time employment. Since he is now done with school except for the certification he will have to go back for from time to time, it is the perfect time for me to pursue my education and finally get the chance to live out my dream. I will be referencing your site for the links you provided us and making use of the information given there. Thank you again for all you help and advice up to this point. You have been a wonderful help to me so far! Hi Mr.Indiviglio….I m Diksha from ahmednagar,Maharashtra.m 16 years old.I love reptiles…So I wish to become a Herpetologist.For that I wish that you should guide me to become a herpetologist,means what should I do after HSC ? Which subjects I should have ? or what efforts i have to take to become a herpetologist ? I love this page. I found a lot of useful information here thanks a lot for the sharing. I have a question or maybe more of a concern. I am 29 years old currently Active Duty military but my dream always has been become a marine biologist or zoologist but I feel that by the time I finish my 20 years in the military I be 40 years old and that might be too old to start. What do you think? I would have to take all those science classes when I’m 40 years old because they are not available online due to all the labs. Do you know anybody that has start a career on one of those two fields at or around that age. Thanks a lot for you time. Thank you very much for your service, and for the kind words. While some aspects of starting later are difficult, in other respects I’ve found that it’s easier…one appreciates new opportunities, is more disciplined, has a clearer sense of purpose…a life in the military will no doubt leave you with all this, and more, hopefully including good health and fitness, which is a great asset. The basic building block of a career in the sciences is a 4 year degree in biology…this can then be applied towards any specialty…marine bio, conservation biology etc; perhaps some of this can be completed before you retire?…speak with counselors in the service and in various colleges, as they will be more current than I regarding your options, but if this is your interest I would certainly encourage you to pursue it. There are also many other options within the various fields besides those I’ve mentioned. You may begin working in the field while completing your education and find a position that satisfies you and does not require further study. I, for example, stayed many years as a zookeeper, because I enjoyed the work and was able to supplement the salary by teaching, writing, etc. Thanks a lot for the advice and the information I really appreciated. I talk to some colleges around and right now I’m going to work on getting all the basics courses out of the way so I can jump right into the core courses and what ever other classes I might have to take to complete the degree in biology. Thanks to your information I feel more comfortable, inspired and motivated to reach my dreams. Thanks a lot Sir. I will keep you posted. Sorry about the Arachnoboards post getting lost, however it did! Thank you for getting back to me about it! I’m currently studying zoology at university. I’m in my third year, and have just started an entry-level volunteer position in a professor’s lab (though unfortunately this is mostly self-directed and gives me little face time with said professor; hopefully that will change though). I’d say my primary area of interest is fishes, but I love all animals. Zoo or aquarium work interests me, as does field and lab research. I generally lean towards having more interest in animal behaviour and ecology than the molecular and cellular side of things, but that may just be due to my limited exposure to it outside the classroom. Any advice for my future career? Thanks so much! P.S. I’m in Ontario, Canada. Usually, jobs in behavior and ecology are harder to come by, less financially rewarding, but with fishes there are so many impt commercial species being reared and harvested that the situation may differ from what we see with herps and others. And so many species left to find, no doubt, which is helpful. Associating with larger, well-funded institutions is often a good way to eventually have the freedom to do the work you’re interested in ..takes time, of course, but larger museums (I’m thinking here of AMNH in NYC) have the resources to employ people who are involved in other than traditional “museum work”. Some friends use teaching as a springboard to doing interesting work….teach during school year, do university-funded research in summers…but one needs to have some interest in teaching…not something you can “fake” or put up with for 9 months, I’d think. Larger aquariums, like zoos, are employing researchers both on site and in the field…behavior , ecology would seem a natural focus…again, best option would be large, well-known facilities. Working as an aquarist…caring for fishes, etc – is a dream job in many ways, but like zookeeping, pay is generally low; I’ve always needed a second job when so employed….moving into curatorial levels offers more realistic salaries, etc, but positions are harder to come by. Volunteering in any capacity is very worthwhile, that’s how I got started; speak with professors, others in field when possible; read Copeia and similar journals, just to get a feel for what people in the field are doing…subscriptions expensive, but available in libraries; look into Bio One…free service that sends you table of contents and abstracts of major biological journals, incl Copeia…again, good way see the type of work that’s being done, where, by whom, etc. Hello! I have been applying to Ontario universities these past few weeks mainly to zoology and general biology programs. After I obtain my undergraduate degree I plan on applying to the Veterinary program at the University of Guelph for either a specialization with herpetology type stuff or equine. Your input would be gladly appreciated! I just want to spend as much time with animals as I can in my future career! Nice to hear of your interests. Hi Frank and I really want to be a zoologist when I grow up. I’m 14 years old and i’m not sure if I really want to BE a zoologist, veterinarian, or something that has to do with animals. Zoologist seems like the thing for me and I love all animals. Especially reptiles. I’ll really appreciate it if you could give me some info on what I should do right now. My parents wont let me have a pet. My mom only likes dogs. It’s a shame she only likes dogs. But, could you really give me some information on what I should do at 14 years old about being a Zoologist. Great to hear that you are wise enough to plan ahead. Pet-keeping is enjoyable, of course, but there are many things you can do that will be far more valuable in terms of preparing for a career. All will be useful no matter what aspect of animal-related work you decide upon. The important thing is to distinguish yourself from others, in terms of being responsible, committed, interested, willing to take on volunteer work so as to learn, etc. This will be especially impressive at your age, as few young people become involved early-on. Read, focusing on high quality books and peer-reviewed journals, and keep a record of what you read. A librarian can recommend, for example, a herpetology text. You may run into topics that are difficult to understand at this point, but you’ll also find much that isn’t covered in popular inter-net articles, pet care books, etc. The main professional reptile/amphibian journals should be available through your library – this rather new one is free online. Reading through these will give you an idea of what sort of work research herpetologists are involved in (herpetologists do other types of work also, but this is a good example). I’m sorry to disturb you and if you don’t respond I understand as all those animals must keep you on your toes! I was just wanting to ask for some advice. I’ve wanted to have a career to do with animals ever since I can remember and a few years ago I decided I aspire to be a Zoologist. Thank you for all the great advice on this page! I really appreciate it and enjoyed reading it. I understand the best way to learn and achieve success in this field is to gain experience, I’ve inquired at numerous places if I could volunteer there, but I’m currently too young and nobody seems to accept a fifteen year olds help. I can understand why, especially considering the dangers of working with animals as they can be unpredictable at times. The RSPCA, pet stores and other places all require me to be eighteen and there isn’t a museum near where I live unless I want to drive several hours to get there. At school I’m working with livestock (mainly sheep) with the Agriculture unit and I have had numerous pets of my own which I have learnt a great deal off. Is there any other ways I could volunteer and gain experience? I’ve looked online and searched around but there doesn’t seem to be any lectures or society’s around that I could attend or join… The only thing I could think to do is perhaps borrow some books from a library about animal behaviour or such. If you’d suggest that, are there any books you’d recommend? Thanks for all the help and having the patience to read this! Thanks for your post…very important topic, and a pleasure for me to help if possible..please write in anytime. Woring with livestock and in agriculture-related programs at school is ideal – zoo folks look highly upon this, as the basic principles you’ll learn, and the hands-on experience, are all applicable to other creatures, in many cases directly. So keep up with that. See if any of your teachers need extra help – research, maybe field work they are doing..anything at all that will distinguish you. especially important at your age, as fewer people will be doing such things, and showing responsibility/drive as a teenager is, to many adults, not expected! 4-H, scouting and similar programs may also offer a way to gain experience..no need for it to be with exotic animals..some of our top people at the Bx Zoo came out of agricultural backgrounds and colleges…you can always specialize in time. Some zoos have teen intern programs…you pay a tuition or fee, and become involved in supervised work with animals. Let me know where you’re located and I’ll check for any organizations that might be useful. I’ll send some book suggestions – very good that you are looking into that – much of the better background info is not available via the internet. I can’t get to these 2 items for a day or 2, but I will be in touch soon. Thank you for responding so quickly! I’m sorry if I was a bother at all and I didn’t mean for you to go out of your way! I’m thrilled to hear that working with the livestock at school will help me out with achieving my career. I’ve never taken the classes with the thought of my career in mind, I’ve always done it because I loved working with the animals. So it’s great to hear that I’m learning the basic skills I need to become a Zoologist! I already volunteer on a regular basis simply because I love the animals, I’ve prepared the animals and helped take them to shows, fairs and also feed the animals regularly on weekends. I’m sure the teachers must be getting sick of me asking them if they need help! Even though we never interacted with many animals I suppose it still helped build skills and experience as I was constantly working outdoors and having to apply skills to situations. I’ve never heard of 4-H, I had a quick research and it’s a group slightly similar to Scouts if I’m correct? Everywhere I read up unfortunetly said it’s located in the U.S… I live in Australia so unless there is something similar over here then it means I won’t be able to participate in it. I’m glad to hear that I don’t need to have a fancy job somewhere to get experience, it’s a real relief, thanks a tonne for giving me all this information and suggestions! I looked up quickly online about the Teen Intern Programs and Volunteer work, Australia Zoo has the tuition but the nearest one near me is a few hours drive away. I live in Australia, Queensland. I usually prefer not to give the actual city away but I imagine you’ll get heaps of different zoos and museums coming up if you don’t have the exact location, so I’m in Brisbane. Once again I really appreciate all the help you’re giving me! Thanks for looking up and recommending some book suggestions! Whenever you get the chance to send them is fine, I can wait. I don’t mean to be a pain or anything so whenever you’re free. It really means the world that you responded so kindly. Sorry for the delay in responding…As regards books on animal behavior – I’m a rabid reader and have read thousands of books that deal with animal behavior, so I wasn’t sure how to choose any to recommend! I would say, most importantly now, follow your interests…spend time in libraries, bookstores and Amazon online etc and read all you can ,. whatever catches your eye. School etc will focus you in time. By the way, seems old fashioned to say now, but librarians are among the most helpful and useful people you’ll ever find..ask about subjects, authors, etc and they will not steer you wrong. As for animal behavior (as a separate science) I think you should check 2 of the classics; some of the info will be dated, but the techniques are timeless, and the history is essential to know. And both are very interesting. Konrad Lorenz established ethology – animal behavior – as a discipline. His King Solomon’s Ring is known to every biologist/ethologist. Also Niko Tinbergen’s Curious Naturalists. Any other of their books worthwhile also. A modern day introductio to the topic is Principles of Animal Behavior (Third Edition)Mar 25, 2013 by Lee Alan Dugatkin; Ive not read this one, but it was recommended to me. Books by early and modern day naturalists – their travels, lives etc are great fun, and even if it’s not possible to re-live their experiences (well, we can try! ), the inspiration they [provide is wonderful. Look into books by Ditmars, Sanderson (The Scurrying Bush), Rudloe, Beebe,; many of Gerard Durrell’s books are both informative and fun..more like light novels than science, but all factual and great reads. Let me know if you need others on specific interests, animals etc. I think you are on the right track…I unfortunately do not have any contacts near you..a former co-worker was in Australia, at various zoos for a time, but has moved on. Your net-searching skills no doubt exceed mine, so keep doing as you are, and yes, check smaller institutions. Look into wildlife rehabilitation also..I recall reading about some active groups there; I gained much experience that way here in the USA…a license is likely necessary, with an age limit, but perhaps you can help out informally or formally. Join any local museums as a member if possible attend talks, exhibit previews etc – good way to meet people.